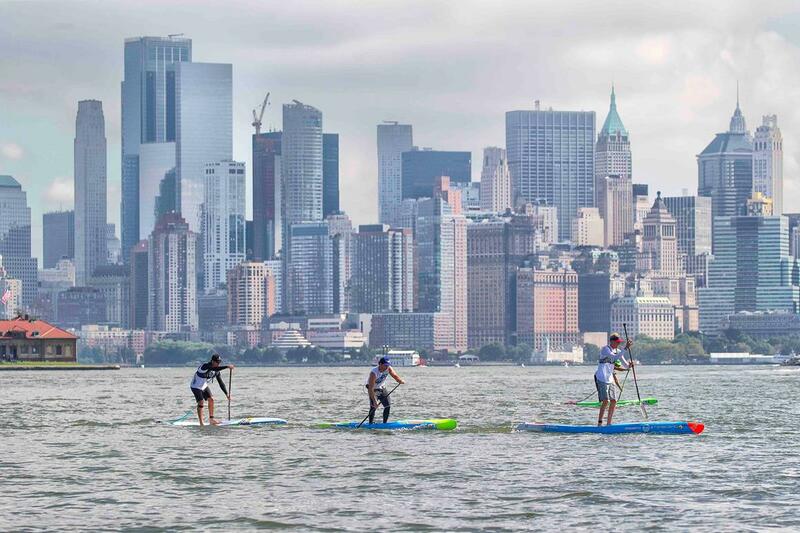 The first race up was the distance race in the Big Apple right by the Freedom Tower. It was 10 kilometers in some messy, choppy and fast moving water. Plus very active boat traffic, which got Mo and myself in a pretty close call. It was a sitting start with your feet in the water and everyone was revved up and ready to go. 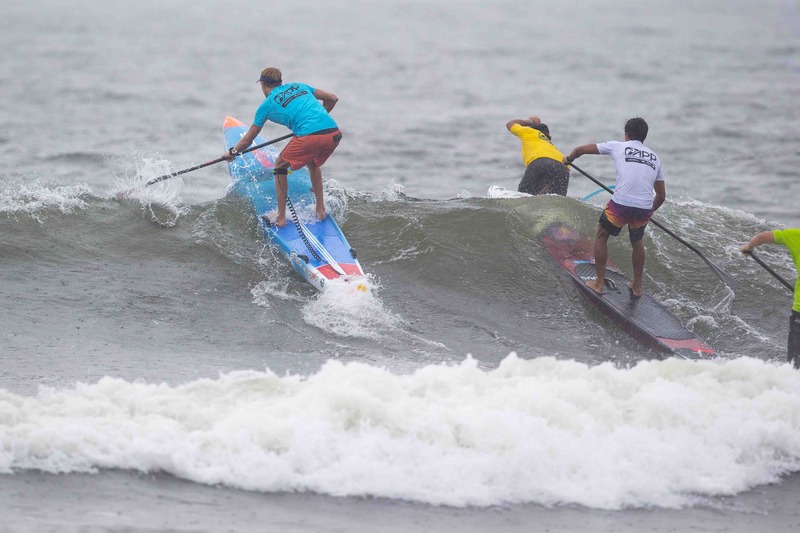 I had my 2018 Starboard Allstar, which was definitely the best board for the unpredictable waters and 6 buoy turns. When the horn blew I jumped straight to my feet and sprinted for the first buoy by Ellis Island. The water was rough and there were a ton of boats passing by. Mo and I were just behind the leaders Michael and Arthur with our heads down focusing on catching small messy bumps when all of a sudden Danny yells out “heads up boys! !” When I looked up there was a huge tug boat heading straight for us. Michael and Arthur were in the clear, which meant either of two things. 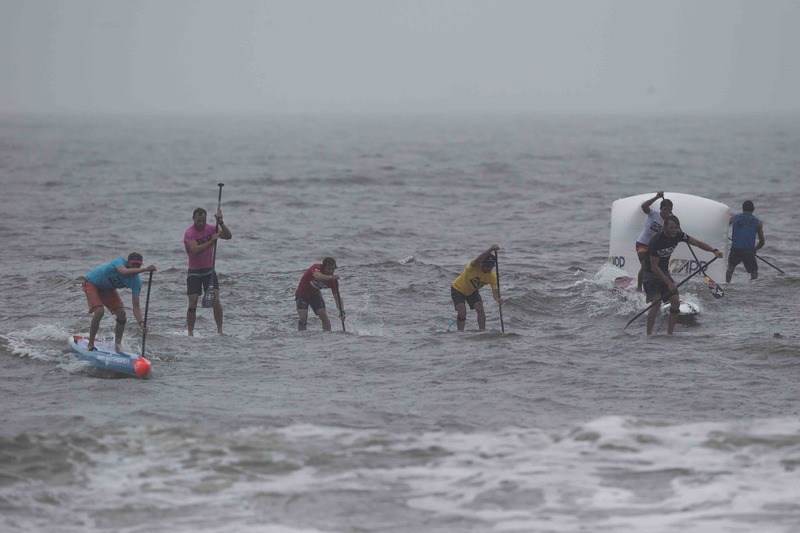 One – I slam on the brakes and paddle behind the boat, which would for sure give the leaders first and second or Two – chance going in front of the tug and have a fighting chance to catch up to them. It was an easy choice for us and we just squeaked by the tug boat. After that Mo and I raced our race catching everything possible. It wasn’t until the last turn around the statue where it got a bit interesting. Michael and Arthur were clearly ahead and looking strong, but they took the wrong path to the last buoy skipping one of the buoy turns. Once they noticed us going the other way they quickly changed their line and they lost that big lead. I wasn’t able to pass them, but it definitely gave me a boast of energy to slide across the finish line in 4th place. 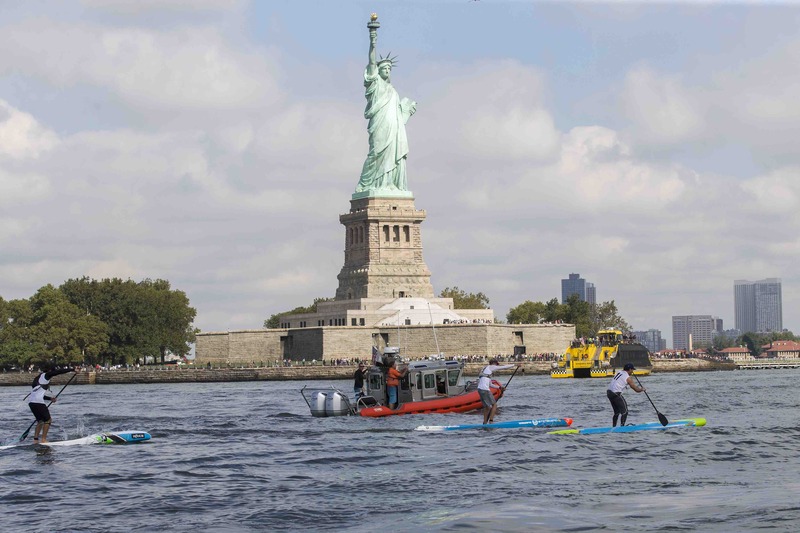 Definitely a bucket list check off for me being able to paddle in those waters around the Statue of Liberty in some heated competition. 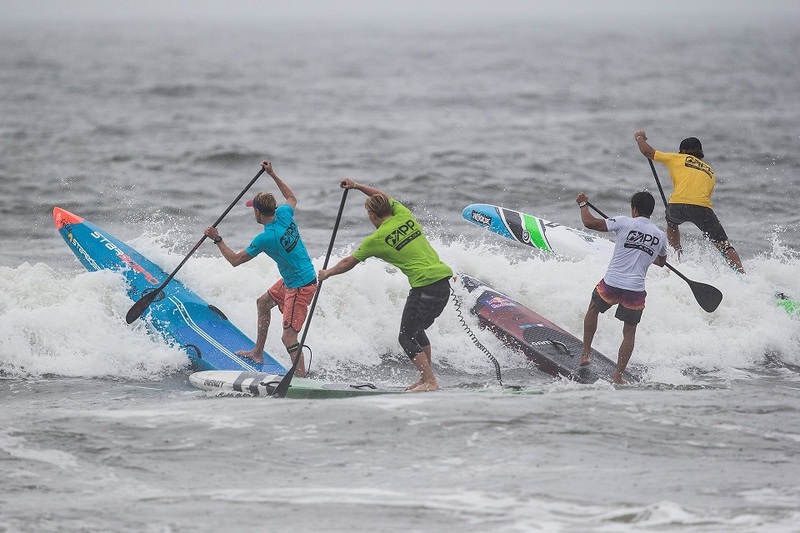 Next up were the sprints and the whole event moved out to Long Island for some exciting surf racing. The day of the race had some crazy weather predictions with thunder and lightning on its way. 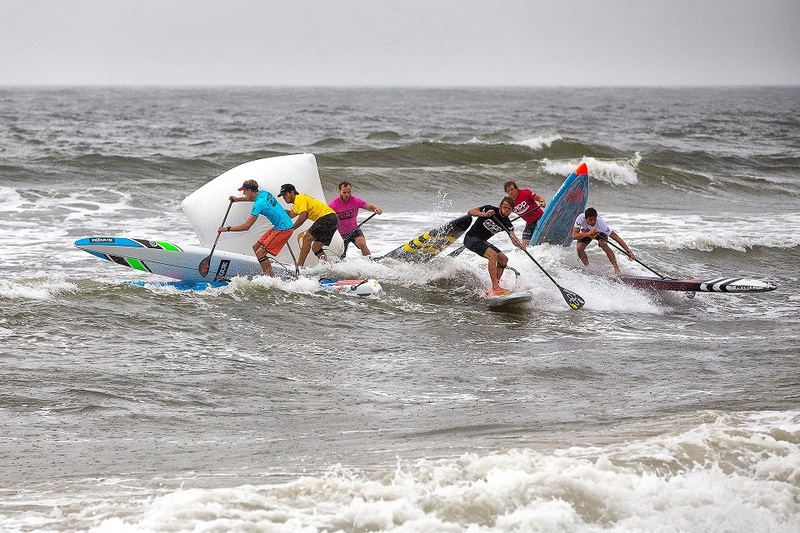 The contest was supposed to run at 2 o’clock but that was right when the storm was passing by, so they decided to push it up to a 12:30 start. 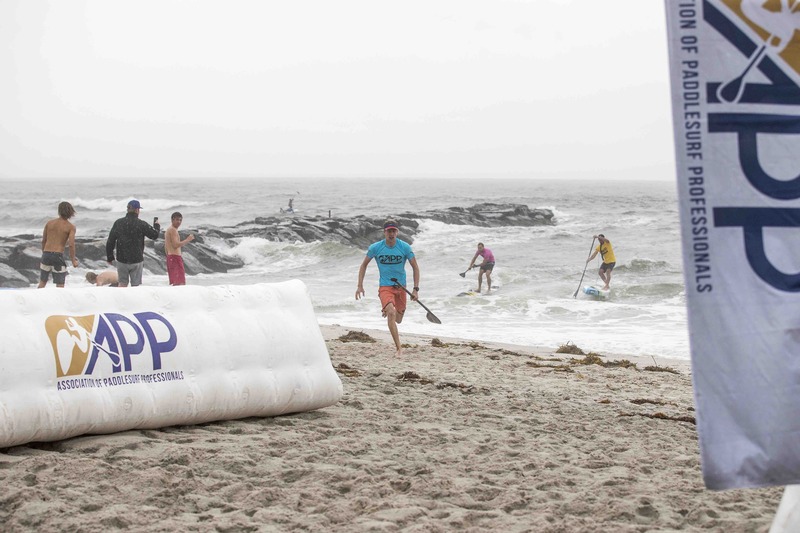 It was ugly and rainy plus on shore winds, but everyone didn’t care about getting a little wet. The waves were definitely all over the place, but nothing too crazy, which makes it super exciting, but at the end of the day the best guys always come out on top. 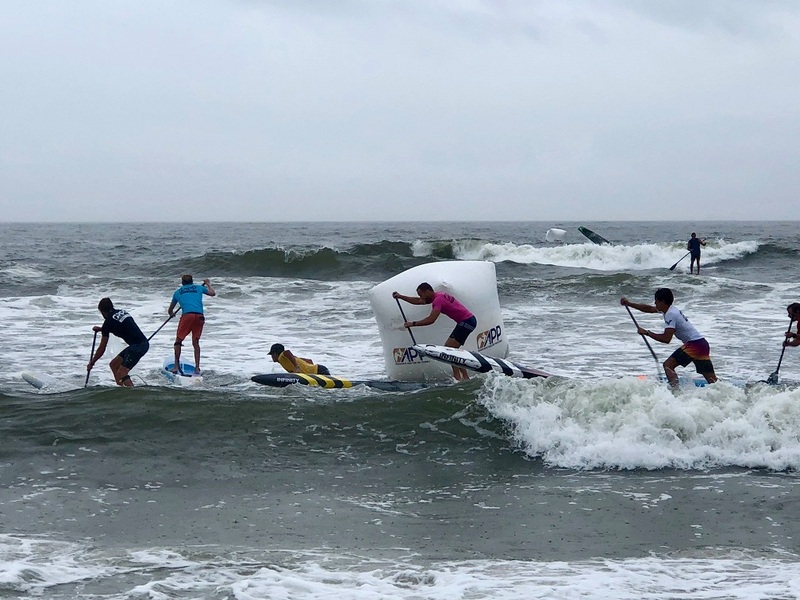 The heats were condensed so they could run both the women and men sprints and crown the overall champion for the New York SUP Open. 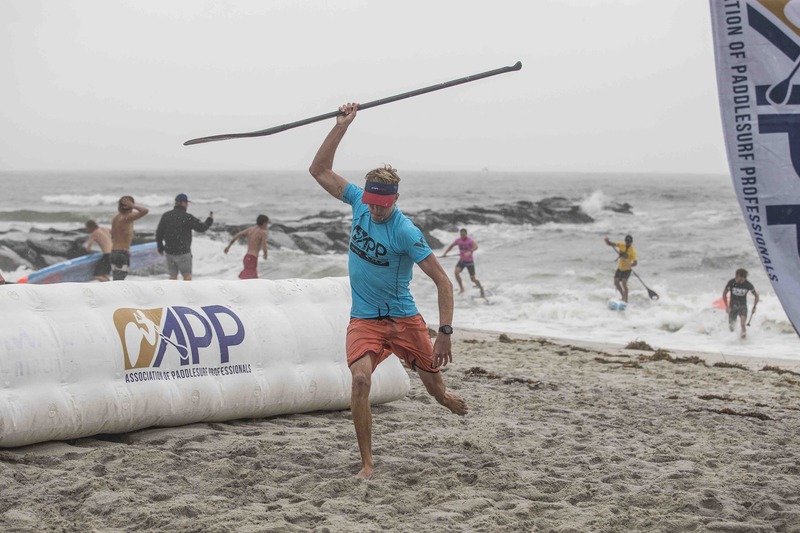 As always in the first heat I make sure to hit the water with speed and aggression to make sure I’m in advancement position. I took second place in the first heat, which locked me in for the finals. The rain didn’t stop and the thunder was rumbling, but all the racers were fired up and nothing was stopping us. I made sure to stay warm and hydrated before the finals with the gold medal in mind. The women finished their finals and it was the men up next. I took a couple deep breaths and grabbed a spot on the starting line with one thing on my mind, always have fun and never give up. The horn blew and I went into beast mode not letting anyone or anything get in my way! Mo and I were the first out through the surf and he had the inside position for the turn. Unfortunately he came unglued from his board and fell right in front of me – making me have to do a bigger wider turn. As soon as I locked my site onto the inside right turn I was looking for any type of wave or bump to get on. 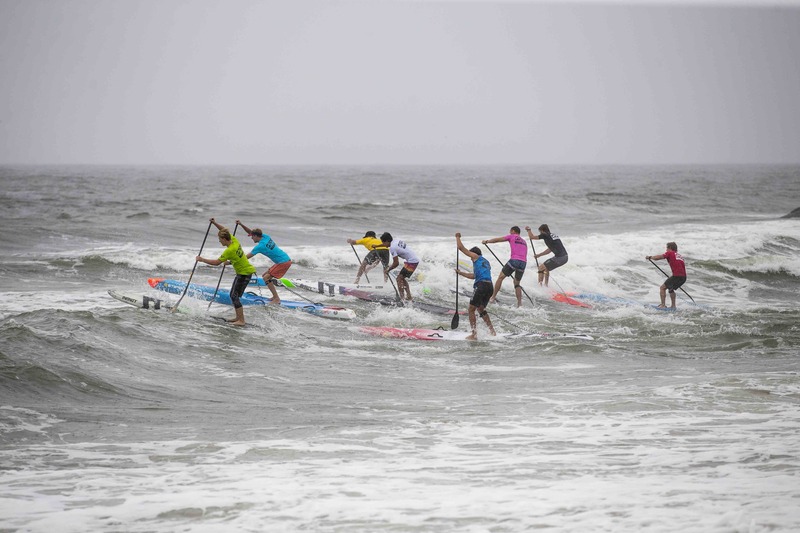 Mo and I snuck onto the first wave, but the intervals between waves was short and the hungry pack was right behind us. Mo fell again at the second buoy pushing me wide, but like I said nothing was getting in the way of my goal. On the way to the last buoy I saw a perfect line and took full advantage of it allowing me to have a clean outside turn, but everyone was still in the race right behind me. I knew I had to catch a wave by myself and avoid a sprint up the beach. I felt a little bump pick me up and I went for it. It was definitely a small wave, but it dropped me off into that top spot. It was definitely a big relief to finally get back on top and to make it better I was able to clinch the overall win and throw my hat in for the World Title Race. I want to thank my major sponsors for all their support – Starboard, Salt Life, Maui Jim Sunglasses, Harmless Harvest Coconut Water. And my product sponsors Dakine, Hammer Nutrition, GoPro, OnIt Pro and Hi-Tech Sports. Also a big Mahalo to all the event organizers. This entry is filed under Events, News, Pro Updates, Races. You can follow any responses to this entry through RSS 2.0. You can skip to the end and leave a response. Pinging is currently not allowed.